Actress Katrina Kaif has never failed to surprise us with her performances and super-fit body. From "Dhoom 3" to "Tiger Zinda Hai", Katrina Kaif has never failed to surprise her audience with her performances and super-fit body. As she turned 35 on Monday, celebrity trainer Yasmin Karachiwala shared the actress' fitness secret. [post_ads]Revealing Katrina's transformational journey Karachiwala, a Reebok Fitness Ambassador, said in a statement: "Katrina is one of the most interesting people to work with because she expects a new workout every time she walks in to the gym. The workout should meet what her goals are, it should meet her fitness levels and it should meet strengthening the parts that are weak." "Katrina's exercises vary from day to day depending on her erratic shooting schedule. She prefers an intensive high mix of squats, lunges to push-ups and pilates, all of which make her fitter and stronger. 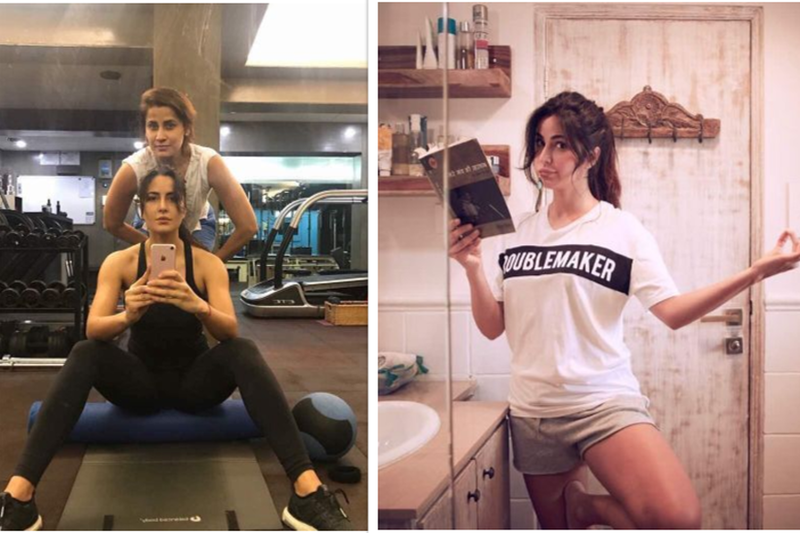 Katrina's workout is designed with the purpose of increasing her strength and flexibility," she said. The actress will next be seen in Aanand L. Rai's "Zero". She is currently in London and celebrating her special day with her family members.